It's been a busy few months in the city, so I haven't caught up on my posts from our European trip in November. Between work, family and friends, life just moves so quickly! Luckily, I did save the best for last: Paris. Everything about Paris makes me happy. 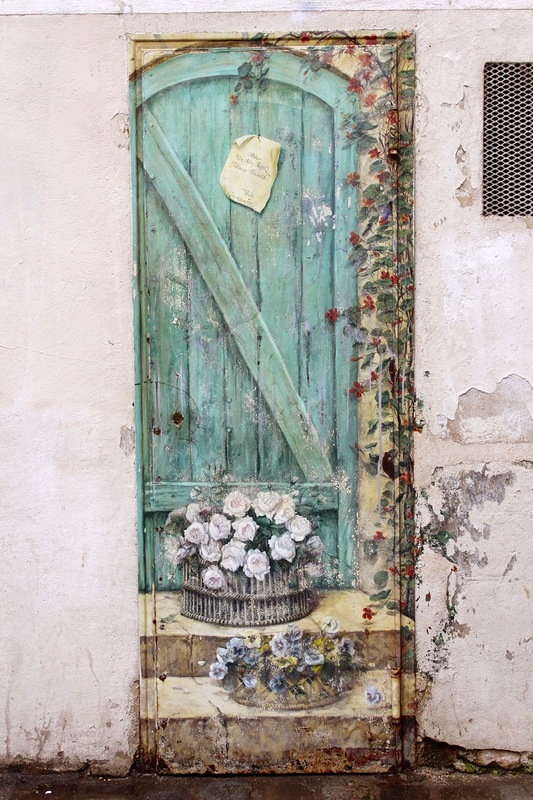 I absolutely love this city...the food, the buildings, the flowers and the art. Our trip there in November made me realize that I hadn't quite been doing things the right way every other time we'd visited. We were missing the local element: the off the beaten track restaurants, the best croissants, the non-chain stores and small winding streets. But this experience was much different, thanks to my sister Myriah and her husband Corey, who lived there last year and shared their secret insider tips to make our trip memorable. 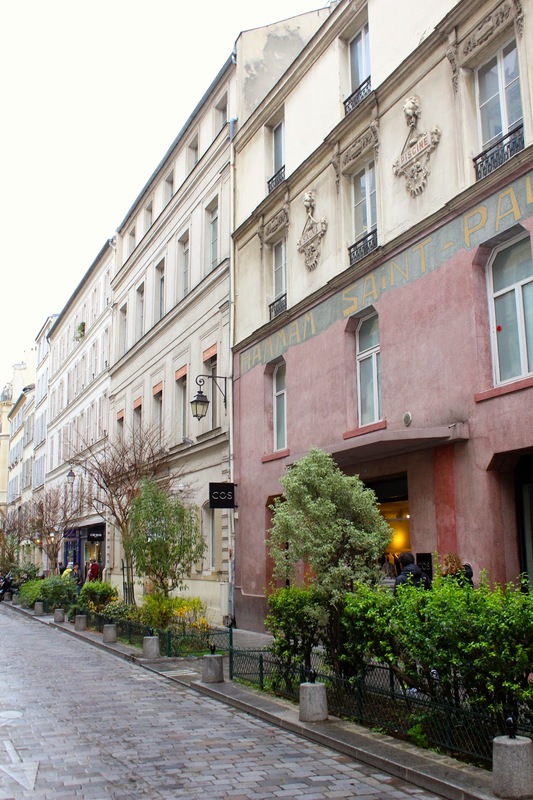 Jim and I came over on the Eurostar for the day from London, and we started in Le Marais. First stop was obviously a bakery for fresh croissants (four, to be exact). We wandered through the streets looking at the buildings, cafes and lovely shops with colorful awnings. We stopped by the gorgeous Place du Voges and wandered around the fountains before popping into Cafe Hugo, where we ordered cappuccinos and watched the world go by. For lunch, we went to Rue de Rosiers in the Jewish Quarter and ordered the most delicious falafel wrap I've ever had. 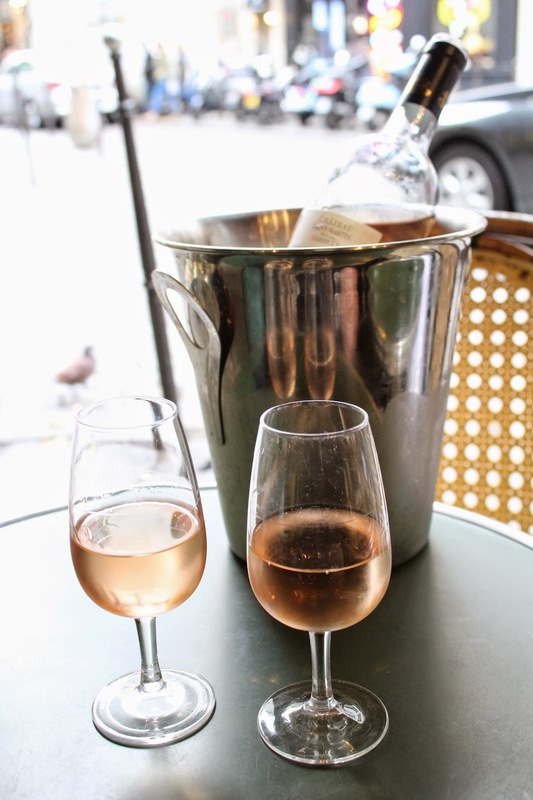 Next, we enjoyed a bottle of rose at a cute French cafe called Les Philosophes. As Corey told us, it's the perfect place to relax and people watch. 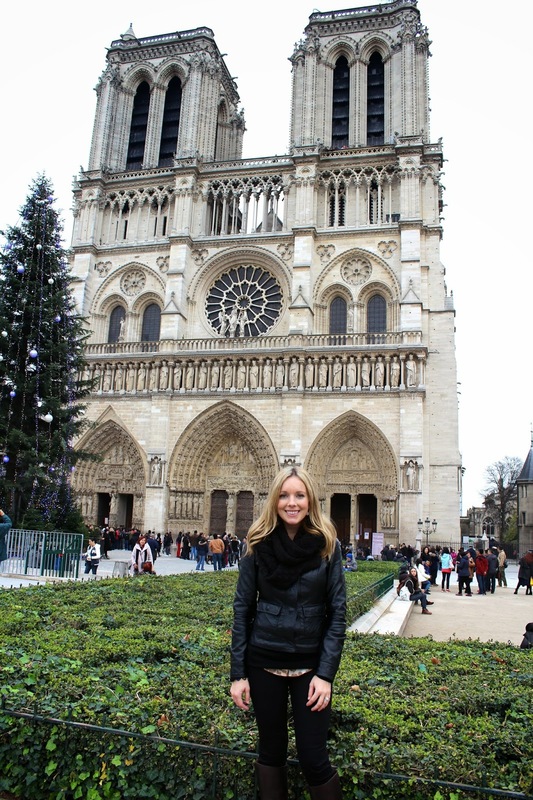 After Le Marais, we took the metro to Notre Dame (we had to see it while we were there!) and walked along the Seine to Rue Montorgueil. 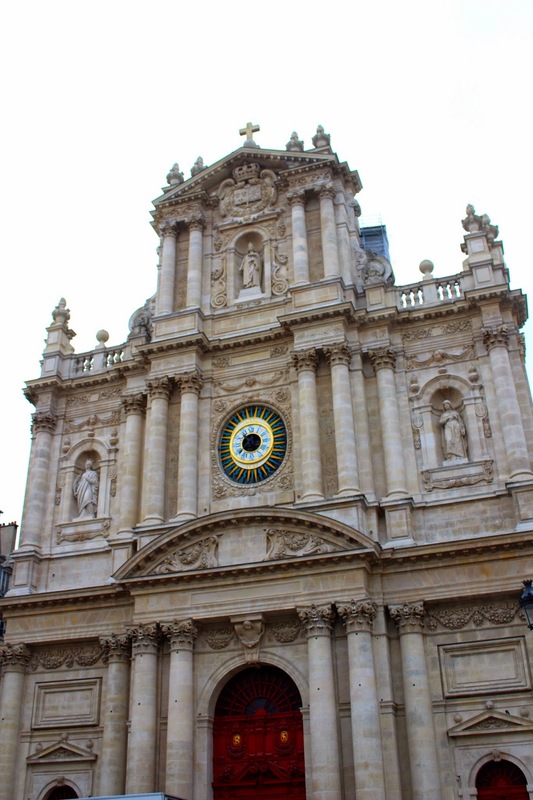 Here, you can check out the little French markets where people are pickup up dinner after work and there's a beautiful church called Eglise Saint Eustache. We refueled yet again with an espresso, before heading to Comptoir de la Gastronomie for dinner. This place is unpretentious and inviting and they serve up very French fare like seared duck and truffle ravioli. Rich, but very good. I loved doing less and taking our time to enjoy every moment, every bite and every store instead of trying to take in every famous site. It's truly the perfect way to enjoy Paris.